One of the more evenly polished films appearing lately on the Dutch film scene is the personal drama based upon Karel Glastra van Loon's novel "De Passievrucht" ("The Passion Fruit"). 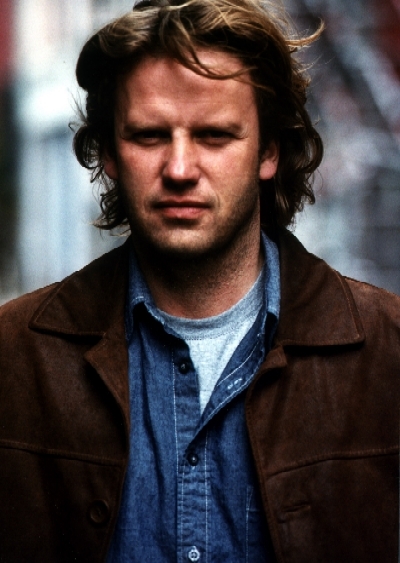 Using a traditional style of plot-driven cinema, director Maarten Treurniet has made a well-balanced film which manages to focus on the turmoil experienced by a man whose recent past is suddenly torn asunder upon discovering that he is, and always has been, sterile and, as a result, cannot be, as he previously believed, the father of his deceased wife's child. Armin Minderhout (Peter Paul Muller) is confronted by this new reality when visiting the doctor with his second wife, Ellen (Halina Reijn). Immediately, the worm of distrust starts eating its way through his mind and Armin becomes obsessed with the thought of unveiling the identity of the genetic father. His vulnerability grows each day as he questions why his deceased first wife, Monika (Carice van Houten), deceived him and his feelings regarding the relationship with his son, Bo (Dai Carter), suddenly become confused. Armin becomes a man troubled by doubts and begins to act more and more irresponsibly toward his wife and son as well as friends because he no longer recognizes or has a solid foothold in the world he had been living in. His actions become increasingly questionable as he creates awkward situations and tends to escalate an already sensitive situation. Suspicions develop and grow in his mind and soon he is no longer able to divide fact from fiction. Peter Paul Muller travels sedately through the film as he experiences his exceptional rites of passage without ever going overboard in his emotions, not even in scenes (such as when he visits Ellen's office) where he creates embarrassing situations for the people around him as a result of his jealousy and rage. Halina Reijn, a notable actress in many Dutch films during the past few years, puts in yet another convincing as well as striking role as the friend of many years who has now become Armin's second wife. Carice van Houten appears in flashbacks as the spritely and whimsical first wife whose espirit and spontaneity in life may remain questionable in retrospect. Dai Carter turns in an impressive debut role as the 13-year-old son who is thrown into turbulence by his father's revelations and his own resulting distress. Producers José van Doorn , Anton Scholten, and Monique van Welzen have gathered together a strong team to turn out what will most likely be remembered as one of the best Dutch films of 2003 * . The film deals openly and honestly with a specific problem which may or may not be of interest to any particular viewer. As a result, it is best for each person to decide whether or not the content and context is sufficiently interesting, on a personal basis, for consideration before joining Armin on his voyage. If this kind of internal analysis is either too unfamiliar or too disconcerting for a viewer, it might be wiser not to embark. The novel, of which the film rights were purchased immediately upon publication, turned out, within a matter of weeks, to become a best seller. We expect the film will do equally well at the box office. * The premiere of "De Passievrucht" will take place in December 2003 and those who are interested in attending might visit the www.passievrucht.nl website, where it is possible to enter a contest and possibly win two free tickets for the event. Each month until the premiere new winners will be announced.